Directions： Take a proper amount of shampoo and sputum, gently massage the scalp, then rinse off with water. It can effectively remove scalp dirt, balance oil secretion, improve hair quality, activate hair, strengthen nourish hair roots, prevent hair strands from breaking, and make hair and hair roots breathable and strong, keep scalp healthy and reduce hair. 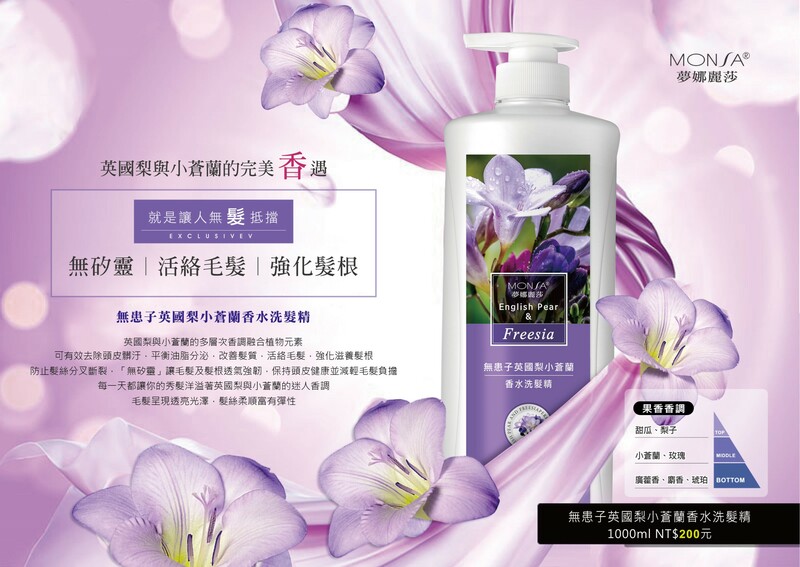 The burden, every day makes your hair full of the charming fragrance of British pear and freesia, the hair is shiny and shiny, the hair is silky and elastic. Take a proper amount of shampoo and sputum, gently massage the scalp, then rinse off with water.